Seriously, this will make someone very happy! You know how we carry our babies in carriers? And you know how our little ones want to emulate us, right? Well, why not make a baby doll and bear carrier for them?! My older girl loves (clearly not posing for pictures!) taking care of her dolls and everything that entails (she even nurses them like mommy did!). She wants to bring them everywhere with her, but then puts them down when she sees something else she’d rather touch. 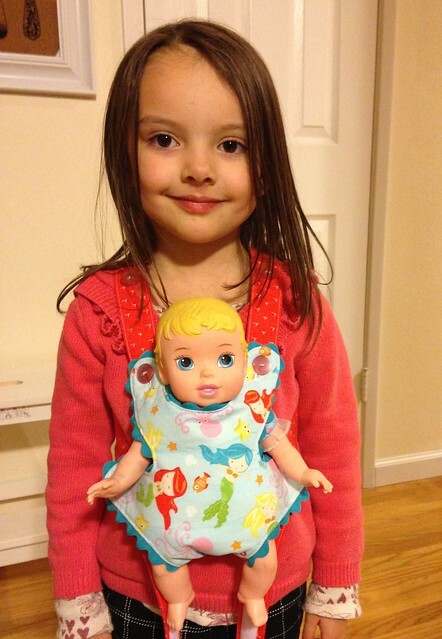 With a babydoll carrier this won’t happen anymore. No more lost dolls!!! No more lost doll meltdowns!!!!!!!!! 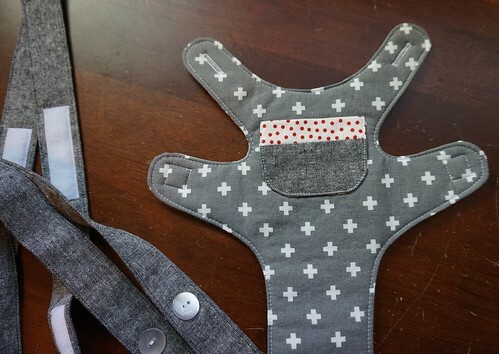 Liesl Gibson has a great book called Oliver + S Little Things to Sew: 20 classic accessories and toys for children. If you haven’t seen this book, you really should check it out. 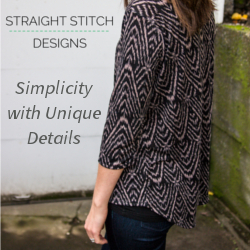 One of the amazing projects is a carrier and included pattern. It’s very simple to put together, and her instructions are clear and easy to follow with added drawings. I was able to make 5 of them spread over a couple of days. I mostly used fabric from my stash with the most difficult part being finding fabric long enough for the straps that coordinated and personalizing them to be oh so cute! 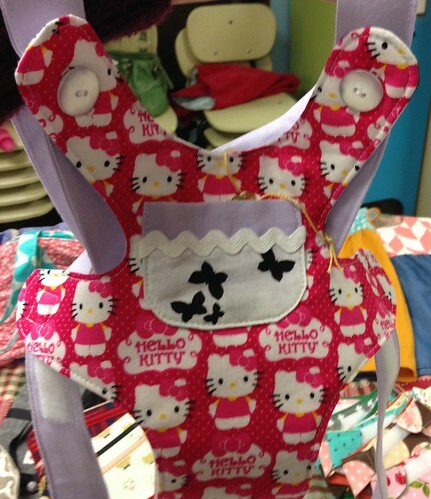 The babydoll carrier comes in two sizes and can be adjustable for dolls and stuffed animals in a variety of sizes. It’s also adjustable for size of child too (I could fit it!). 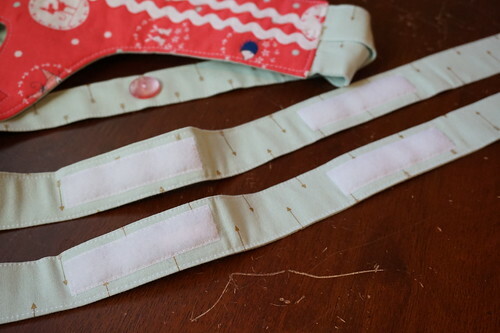 Some of them will be for other kids, so I made all of mine adjustable which meant I needed lots of hook & loop tape (don’t let that scare you off if you hate sewing that on, if you go very slowly, it won’t skip stitches). 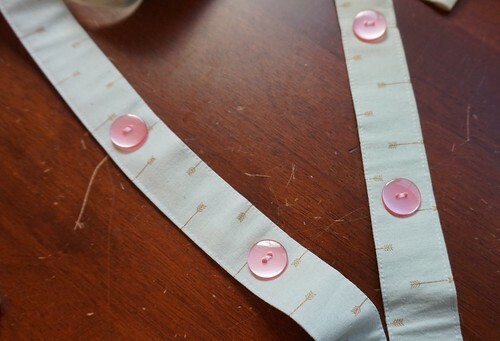 I use the sew on variety of velcro, and of course little strips of my favorite wonder tape to help secure it for sewing! These were fun to make, and the ways they can be personalized are endless. 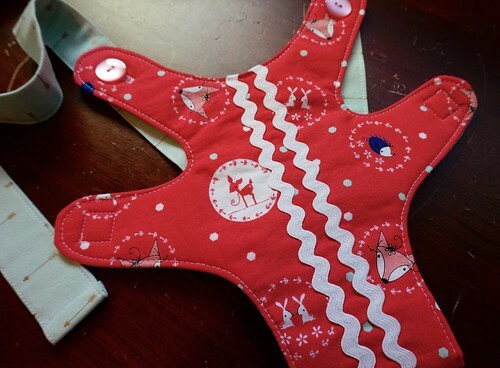 I was only limited by what I had on hand, and I didn’t want to hide some of the cute images on the fabrics. You’ll recognize these deer and hedgehogs from this cute little vintage baby romper. I miss that sweet little romper. 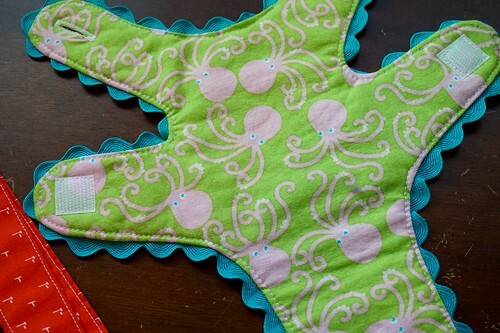 Oh yeah, the inside of her mermaid carrier has this silly and fun octopus fabric. I used it inside her Road Trip Case too. I can’t believe how far this mermaid fat quarter bundle has stretched. Anyway, it can take a moment to figure out how the straps are supposed to be worn, at least it did for me. 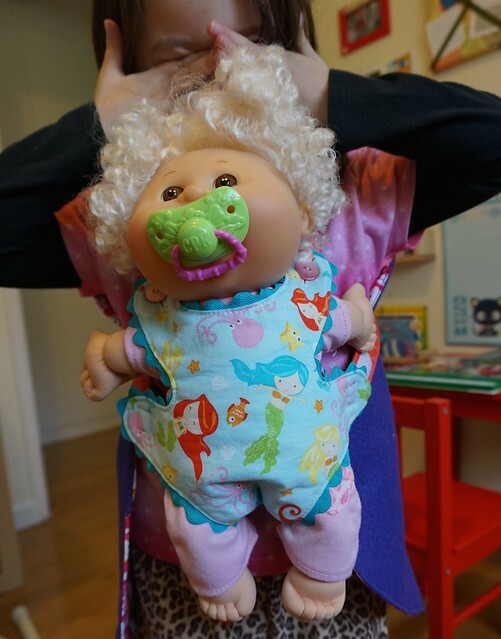 My daughter still needs help putting it on because it crisscrosses in the back, but once it’s on, she doesn’t take it off for hours. 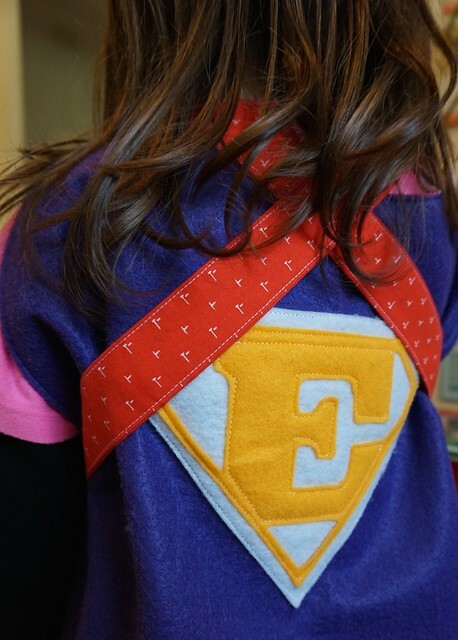 She uses her superhero cape as a nursing cover. Crafty that one. So what else does a doll loving girl need? She already saw the carrier, which was supposed to be a present, but it’s kind of hard to hide 5 of them! Any ideas? Raiding Pinterest? so sweet!! what else? how about a hat to match the carrier? That would be so cute! haha! and little matching booties! doll and girls matching hats.